Bluetooth Wireless Mini-Mouse - Custom Sensors, Inc. 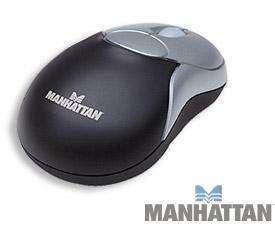 The Mode UMBT01Bluetooth wireless mouse, enables wireless scrolling through a standard Bluetooth adapter. The device is powered 2 AAA batteries. Line of sight with receiver not required. The UMBT01 enables wireless scrolling with more than 30 different functions including zooming and horizontal or vertical scrolling. The optical sensor system stays precise with no moving parts to clean. The unit can be used on PCs running Windows 98, ME, XP and 2000.